Registration Cost: The Registration Fee is $40.00 per person. The registration fee is payable to Hollywood UMC. It may be sent in advance or paid upon arrival. For financial assistance, contact Stephen Hale or Rev. Denyse Barnes (see below). Registration Deadline: Please register by Thursday, February 21, 2019. Schedule: The event will take place from 7:00 PM on Friday, February 22, 2019 to 12:30 PM on Sunday, February 24, 2019. Participants will visit a synagogue/temple on Saturday morning. About the Program: We’re discussing ecclesiology (the doctrine of the church). Because we’ll have a few churches together, this will be a great time to emphasize that church is not simply a local congregation. We’re putting a bit of emphasis on a call to take up your faith. Rev. Denyse Barnes uses a phrase, “Now it’s up to you.” Your parents carried your faith until now, but now it’s up to you! Adult Chaperones: Adult chaperones are expected to be Safe Gatherings certified by your local congregation. Participating churches are expected to send appropriate number of chaperones with their confirmands at the same rate of $40/person. 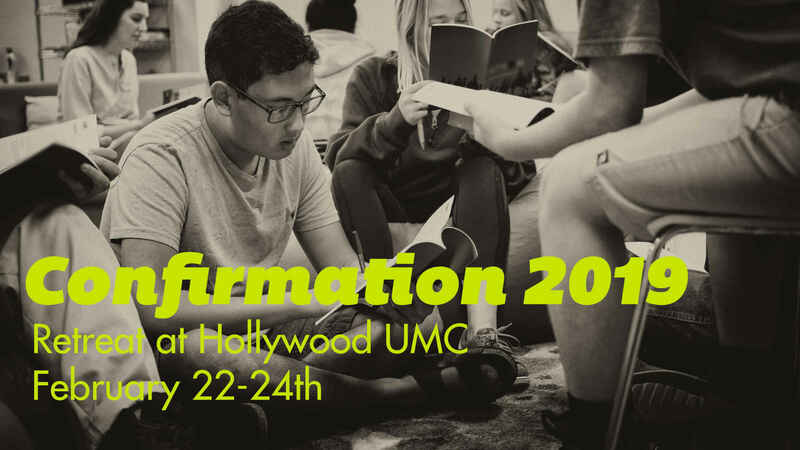 For more information: For Questions, contact Stephen Hale (Redondo Beach First UMC) at youth@beachfaith.com or Rev. Denyse Barnes (Hollywood UMC) at denyse@hollywoodumc.org.